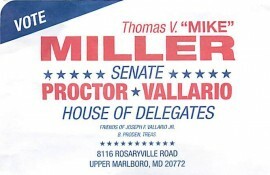 Get Behind Vallario, House of Delegates and Miller, Senate! Return Them to Annapolis! 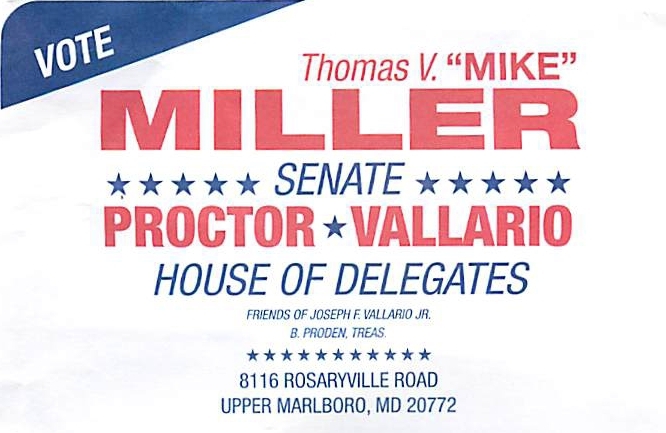 Good friends of ours, Joseph F. Vallario Jr., chairman House Judiciary Committee, House of Delegates and Thomas V. Mike Miller Jr., President, Senate of Maryland, need to be returned to Annapolis! Vote in the Maryland Democratic primary on September 14, 2010 in Prince George’s County (27th District).